#2311 What do you do when the life God has promised you looks nothing like the life he has given you? We wait at red lights, in long lines, and for a person to change. But the most difficult waiting? Waiting on God. What do you do when the life God has promised you looks nothing like the life he has given you? We wait at red lights, in long lines, and for a person to change. But the most difficult waiting? Waiting on God. We want to know God's plan so that we can trust the plan-but often God hides his plan so that we will trust him. What can we do in the meantime while we wait for an answer to prayer, a change of heart, or a miracle of provision? 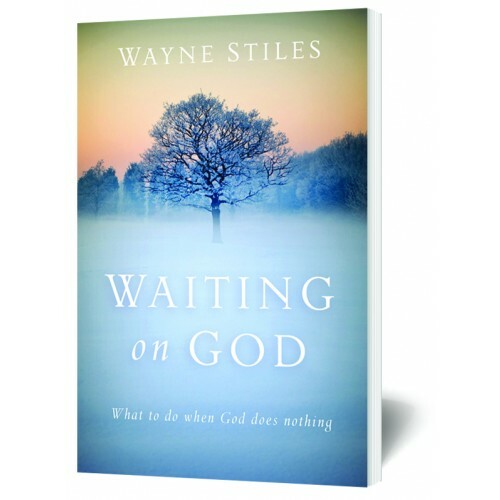 Unpacking the Old Testament story of Joseph, Wayne Stiles shows you how to find comfort and purpose in the waiting, revealing the startling truth that sometimes when we think we are waiting on God, he is actually waiting on us. If you find yourself waiting on God--or if you don't know what God wants you to do next--this book offers a wise and practical guide to finding hope and peace in life's difficult pauses.